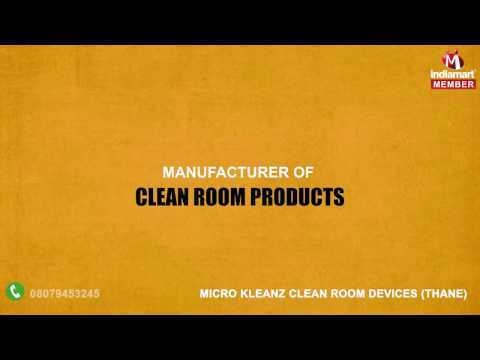 We, Micro Kleanz Clean Room Devices, started its operation in the year 1998, are one of the foremost manufacturers, traders and exporters of an extensive array of best grade Clean Room Products. The range offered by us consists of Modular Clean Room Systems, Fume Hoods, Air Handling Units, Laminar Air Flow, Clean Room Doors, Air Showers, Sampling and Dispensing Booth and many more. To manufacture these offered products in compliance with the set industry standards, our experienced professionals use the modern machines and tools. Offered products are highly admired by the clients for their attractive features like long service life, super performance, high functionality and resistance to corrosion. We are also offering Clean Room Installation Service, Clean Room Construction Service, HVAC Installation Services and Turnkey HVAC Clean Room Project Service.